“Bungou Stray Dogs” Season 3 is one of the big names returning this spring. The season will start with a new prequel arc adapting the live novel “Fifteen Year Old” written by Kafka Asagiri himself released exclusively alongside anime movie premiere Bungou Stray Dogs: Dead Apple. 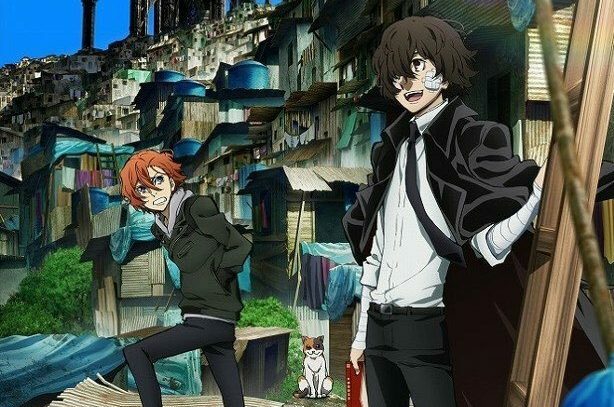 With regards to this, the officials have shared a new key visual featuring young version of fan favorites Dazai and Chuya. The new season has been scheduled to start broadcasting starting from April, 12th. The new season will be again streamed by Crunchyroll. Also, the anime has confirmed to run through a total of 12 episodes. Bones again will be handling the new season and Director Takuya Igarashi and the Scriptwriter Yoji Enokido will make their return. GRANRODEO will perform the new Opening theme “Setsuna no Ai,” and Luck Life will be returning to perform the new ending theme, “Lily.”Created by Kafka Asagiri with illustrations provided by Sango Harukawa Bungou Stray Dogs’s story centers on individuals who are gifted with supernatural powers and use them for different purposes including holding a business, solving mysteries, and carrying out missions assigned by the mafia. The story mainly follows the members of the “Armed Detective Agency” and their everyday lives.